Packing Materials for the DIY Move | Cummings Moving Co. While you may not need all of these for your move, this handy checklist will make sure you think of everything as you get prepared. Print this out or bookmark this page and use it when shopping for supplies. Specialty boxes for art, mirrors, lamps, etc. A Packing Kit is a shoebox sized container that contains everything you need to easily pack a box in that room. Put one in each of the main areas in your home to make packing easy and efficient! Always put the items BACK in the box and you will ALWAYS know where it is. If you want to make packing REALLY easy, ask us about our Whole House Packing Service as part of your move with Cummings Moving Company. 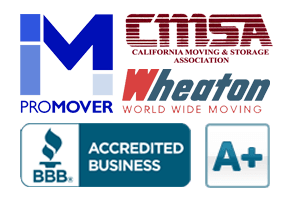 Request a Free Moving Quote. TIP: Keep a roll of bubble wrap and sheets packing paper near each kit. Is this starting to sound like too much work? Chances are your time is valuable and packing for your move is not the best way to spend it. Consider having your moving company pack your home. It is something they do every day. They are fast, efficient and understand what it takes to make sure your belongings get from point A to point B in great shape. Ask Cummings Moving Company for a free, whole-house packing quote as part of your move with us.